Lind Tree Service & Landscaping is a family owned and operated, full service landscaping company serving Monument & Colorado Springs. With over 22 years of experience and over 2,100 satisfied customers. We have built a reputation of unsurpassed quality and professionalism. Lind Landscaping provides practical solutions to all your outside living areas. We consider trees to be one of your greatest outside assets. 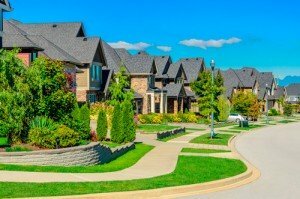 Does your HOA, neighborhood, or street need professional mowing and landscape maintenance? Lind Tree Service & Landscaping can provide year-round, white-glove, full-service of all your mowing, mulching, tree pruning, planting, and snow-removal needs. Are you looking for the best in home landscape maintenance? Look to the professionals at Lind! Does your office complex or business require mowing or landscape maintenance? Are you looking for a professional landscape outfit that looks and acts as professional as the professional business men and women at your business? Look to the professionals at Lind! Do you have a large sports field, acreage, or other field that requires mowing from time to time? No problem, we’ve got you covered!